The WICReset /iWIC key is for use in resetting compatible Epson inkjet printers using the WICReset or iWIC utilities. Useful for resetting and clearing the Service Required and similar errors relating to the waste ink pads in compatible printers. More information for the WICReset/iWIC utilities is available here. 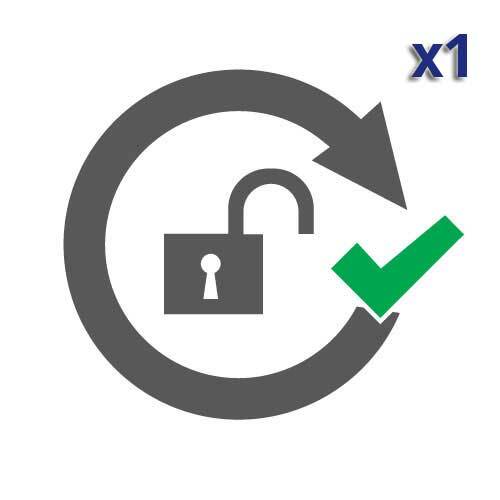 Keys do not have an "expiry date"
An active internet connection is required for the key to be validated as part of the reset process. It is also possible to download and test the WICReset/iWIC tools before purchasing so please ensure your computer and printer are compatible before purchasing a key. on the printer...I less than 10 minutes the printer was up and running again. All that it requires now is to go through the head cleaning process a few times to get the printing quality back to normal. Words are ineffectual to describe how I feel regarding the re-setter...So easy and quick to use. Thank you again martin & Crew for providing me with an amazing product. "Reset key works perfect (L355). Great work like the whole Transaction, the website, money Transfer, shipping and everything. Changing Physical waste Pads is so easy: buy it (4,32 EUR) and by loosen of one srew you can change it. Or buy the waste Tank. Wish I could know how it works to help provide the world from such senseless things like printers that 'end their life' because of full wi counters/pads. Thank You and please go on saving the world!!!" "I have used this waste reset key for the 3rd time on our Epson Artisan 837 printer and have found it amazingly quick & simple to use each time. I highly recommend this product! There is nothing wrong with our printer & are very glad I could use this inexpensive software to get it going again! THANK YOU OctoInkjet ! PS make sure you fit a Printer Potty BEFORE having the reset the waste counter for the 3rd time! Or you will have a big mess of overflowed waste ink!" "Ottimo prodotto ,funziona subito ,senza installazione driver stampante , immediato. Prezzo troppo alto per un riparatore/tecnico che deve resettare ad un cliente. Quanto deve chiedere per la riparazione?" "THANKYOU! My Epson Artisan 837 printer is only just 12 months old and is still like new! I couldn't believe it when the error message said my waste ink pads' life was ended and I couldn't print another thing! So I started googling! I am glad I found you guys - I felt confident downloading from you site. I downloaded the WIC Reset software 1st & tried running a test run - I was in trouble because my printed was connected wirelessly & the program requires the printed to be connected by USB Cable - Note to other users - luckily I found a USB cable here that fitted my printer. Turn off your printer. Turn off you wifi network on you router. Plug in your printer with the USB cable. Switch on your printer. Ignore "Found new Hardware"/"Install new hardware". I just clicked "Refresh" on the WICReset program & BINGO - it found my printer at last! The program then worked like a charm & I was printing again in minutes! THANKS! To go back to Wifi - just turn off your printer again. Unplug the USB cable. Turn on you Wifi Newwork. Turn on your printer again & hopefully yours will work just the same as before, just like mine did. I have now ordered the waste tank for this printer."